Raphael Sperry is the newest president of twenty-two year old national activist group ADPSR, (Architects/Designers/Planners for Social Responsibility), and has launched a vital debate that confronts us about our roles in producing the prison industrial complex, our fears of dispensability as a profession, and thinking about an ethical vision we should be working for instead. Beyond just taking responsibility, though, he is out to help expose a behemoth that uses billions to hijack state economies through an urbanism of corporate incarceration, and to reveal the systemic design of a megastructure which manufactures recidivism for obscene profit. Sperry believes that the political discourse around prisons right now should push our practice into social action and toss our weight into the greater lobby for a complete redesign of prison policy. [Bryan Finoki] What is the goal of the Prison Design Boycott, and what will it do? While I understand the objective is fundamentally to influence policy reform, I wonder how it intends to improve the architectural components of current operating prison structures today. And if architects and planners are expected to abandon these projects, what additional responsibilities should we examine along the way to assisting legal reform? [Raphael Sperry] The immediate goal of the boycott is to achieve a fundamental rethinking of our prison system and the larger justice system of which it is a part. A broader goal of the boycott is to develop the leadership of the design and planning professions in addressing social problems through emphasizing both our social responsibility and our ethical vision. For the first goal, policy and legal reform are major goalsÃ¢â‚¬”as citizens, architects need to speak up about the failed policies such as the “War on Drugs” and “Three Strikes” laws that have led to the epidemic of incarceration that is damaging our society in multiple ways. The built quality of our nation's prisons and jails is not the focus of the boycottÃ¢â‚¬”it is the quantity that is the problem. Most of the problems that prisoners experience while incarcerated are the result of prison management, not the physical infrastructure. For example, it is a problem to be held without sight of sunshine or the outdoors for extended periods of time. If you have sunshine but prison guards or other prisoners are routinely abusing you, or you're being served maggoty food, getting sick, and can only see a doctor under very restricted circumstances and then it turns out the doctor has a revoked license in your state, then the built environment is a minor factor. Humane management can make up for much of a bad prison building; the reverse is not true. Irrespective of the management or the environment, the United States has a per capita incarceration rate that is 6-7 times higher than any other industrialized country, and is even higher than other countries that seem to be lawless, including Belarus, Kazakhstan, and Russia. Because of a broken justice system and an overall culture of fear (and other reasons such as widespread poverty and institutional racism) we send people to prison for the wrong reasons, for too long, and at great cost, when we should use other responses to transgressive behavior. The prison industry is not going to correct this problem on its own, nor is building new prisons going to help lower our incarceration rate. Lowering the rate means not building prisons, plain and simple. Architects who are socially responsible can do other things instead. To really achieve public security for all, we need neighborhood reinvestment, better schools, more childcare, affordable housing, and a lot of other things architects would enjoy working on. These institutions need thoughtful design, but they also need advocacyÃ¢â‚¬”the reason we're lacking these things is not because of a lack of good designs, but because other priorities receive the investment. One of the big points the boycott raises is the need for architects and other professionals to become advocates for the society we want to designÃ¢â‚¬”we can't wait for these projects to just roll around and ask us to work on them. What type of commitment is this boycott asking of architects? In helping to mobilize a collective voice of action, will political lines need to be drawn for the sake of the architectural community? For most architects, we're asking for a pledge not to design prisons. (Incidentally, I would urge readers to go to here to take this pledge.) The boycott is not about drawing political lines, and most certainly not about Democrat/Republican or Conservative/Liberal. Not everyone will agree with this concept, but I hope very few people today actively defend the size of the prison system we have, or the worst abuses that happen within it. Saying that we don't need to expand the system, and that in fact in the face of limited resources we need to reinvest in higher social priorities, hardly seems that controversial. The collective voice of thousands of architects could become very powerful. Of course with that many people, the statement needs to be pretty simple. But this simple statement can go a lot of placesÃ¢â‚¬”to statehouses, where legislators consider funding for new state construction projects; to newspapers, so that other readers can hear from design professionals; and to historically marginalized communities, so that they know they have partners who want to help heal our society together. Some fear that if we decided to no longer participate in these projects, we would end up with even less humane prisons since there are always others, perhaps less qualified, willing to do the work. What would be the long term impact if we stopped practicing in the prison industry? If our idealism for transforming the penal system is just as dependent on designers and planners as policy makers, how can we boycott the industry without fully abandoning it? Again, this is an issue of quantity, not quality. Roughly half of prisoners are non-violent; if most of this group received an accelerated release, some other prisoners were resentenced without the “mandatory minimums” and “three strikes” penalties, we could close a lot of prisons. By my estimates, over half of the prisons and jails in the country are less than 30 years old. Presumably, these buildings represent the best thinking of our professions. So the quickest and most affordable way to ensure human housing for prisoners is to close the oldest and worst prisons first. After the 30-year prison construction spree our country has seen, we should have plenty of buildings to house what might be the result of a reasonably reformed legal system. As for the idea that prisons would be worse off without architects, that's only true if you think that the architects are the most humane part of the prison industry. According to my research, most federal and large state prisons built on the “New Generation” model - since the 1980's in other wordsÃ¢â‚¬”are built on the same prototype design, using prepared specifications and details. There has actually been a remarkably small amount of architectural input into each individual facility, although they seem to be well regarded within the industry. Of course architects don't want to think that we are dispensible, but as I argued earlier, even at best we have no control over any of the management decisions that have a much bigger impact on prisoners' lives. The most valuable thing architects have to offer (and often the least appreciated) is our visionÃ¢â‚¬”and at this point, we can offer a compelling vision of alternatives to prisons as part of a vision of a better society. Given the starved and marginalized state of the architectural community, what does the boycott suggest about the lure of these big contracts, and more importantly, our needs of reclaiming a sense of independence from the construction business? Also, how do you respond to those architects who design prisons because they are genuinely concerned about the conditions of inmates? I started to go into this earlier, but it is worth noting that not only has prison construction (in the big systems) become systematized in design, but it has also become a very successful area of design-build project delivery. I don't have specific research on this, but I think that in general terms a lot of government construction has trended that way, especially in the more authoritarian parts of the government, although the rationale is always about efficiency and cost-effectiveness. The army uses a lot of design-build, and Colin Powell brought in an army general to run the State Department's embassy construction program, which now also relies on standardized designs and design-build delivery. I have nothing against design-build in general, it can allow a lot of innovation in some circumstances, but these programs basically use design-build to eliminate design. You can tell because at the State Department they've started to remove what used to be an influential and highly respected architectural design review board. And this is all a big part of how architects are continuing to lose ground to the rest of the construction industry. On the surface of things, it's not necessarily true that more authoritarian institutions will suppress designÃ¢â‚¬”the totalitarian soviet government created a tremendous amount of propaganda, including some architecture, for instance. But by collaborating with authoritarian systems, like the prison system, architects can at best serve at the pleasure of the powerful. If we are part of a broad coalition that envisions, demands, and works for a better society overall, we can have the status of equal collaborators, valued for our special skills and entrusted with their ethical use. Some architects who design prisons are truly concerned about the welfare of the individuals in prison. A lot of their work is made possible because the US courts found a constitutional requirement for minimum standards for prisonersÃ¢â‚¬”so the worst districts occasionally have to rebuild under court order. When you realize that there is no constitutional right to a decent educational environment for children, you wonder whether architects shouldn't be speaking up on a systematic level on that issue. And if we can see schools as a system, why not prisons? The boycott isn't about individual prisoners, it's about the way imprisonment is used in our societyÃ¢â‚¬”to enhance fear and punish the poor and powerless. What have been the costs to our educational agenda resulting from the rampant growth of the prison-industrial complex nation wide, particularly in California where prison expansion is unparalleled, and the decline in the quality of our educational system seems at an all time low? People in general, and state and local governments in particular, have to realize that there is a real choice between investing in prisons and investing in other social priorities, especially including education. State and local budgets are not growing, but prison expenses have become a major budget item all across the country. Prisons were the fastest-growing category of spending for almost every state over the past 10 years. In California, prison guards are paid more than teachers, and we built over 20 prisons in the same time it took to build one university. Simply put, governments cannot afford both a huge prison system and the provision of basic social services. When you realize that prisons do nothing to reduce the likelihood of future offenses, the investment choice should be obvious. But so many politicians are addicted to posing as “tough on crime,” and pro-prison lobby groups are so powerful, that common sense can be overruled. I think architects are good figures to stand up for common senseÃ¢â‚¬”for the idea that providing a good education to every student is a fundamentally good idea. It seems to me that in order for the Design Boycott to really lobby for policy reform with the weight it needs, it must be part of a larger coalition where traditionally architects and planners have been absent. How can we reach out beyond our own sphere to help steer a collaborative with other groups fighting for change from both inside and outside? You are right in suggesting that we will need coalitions to make really effective policy changes. And there are lots of groups we can partner with successfullyÃ¢â‚¬”from legal groups working on alternative laws, to policy groups working for reinvesting the money spent on prisons to community redevelopment, to grassroots community groups supporting released prisoners, and many more. Many architects are a little isolated from other sectors of our society, especially poor groups, because buildings are expensive so our clients are mostly limited to the wealthy and parts of the middle class. However, most architects have a vision of society that is better than that, which includes more social integration. It will take real work to move towards that vision, and frankly, the poorer groups are working hard enough just to stay organized and stay alive. If we want to see integration, we will actually have to get our resources together and take the steps to reach across existing boundaries. ADPSR is starting to do that, and so are many other groups, like the well-known Rural Studio that Samuel Mockbee used to lead. I think it's encouraging that those efforts are usually very well received within the architectural community. Maybe we're ready to do more. How have prisons driven city planning, land speculation, zoning, neighborhood design, impact on communities, sprawl? There is a lot of mythology that prisons help neighborhoods. I am also curious how you feel the state of our urban design has been responsible for allowing prisons to escalate in our society the way they have? Don't architects and planners need to be accountable for this more pervasive failure in vision too? 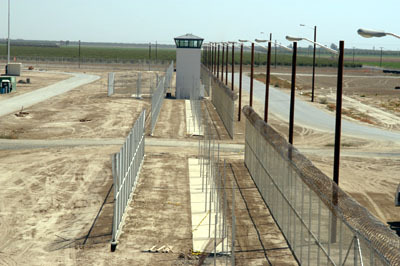 CA Dep't of Corrections' Facilities, courtesy of CA Dept. of Corr. I saw an interesting study recently. It compared hundreds of counties, rural and urban, with new prisons in them and without new prisons. Across the board, economic growth was slower in counties with prisons. This is ironic because prisons are often sold to rural communities facing job loss as a source of well-paid, steady jobs as prison guards. This just shows that at the largest level that's a fallacy. At the local scale, prison guards usually commute to work, so in rural areas they usually choose to live in a town without a prison, even though they work there. The host town has to pay for increased services such as sewage and traffic (with their attendant environment problems); but it gets no tax revenue since prisons are state or federal property. And by distributing a new pattern of economic activity over a broad rural area, even while stifling growth, prisons create sprawl. Towns get chain businesses, for instance (often just outside of town lines), but lose local businesses and end up with absentee ownership of their commercial property. It's an ugly set of issues. On the communities where prisoners come from there are also impacts. With the increasingly rural location of prisoners, family members have to travel 6 hours or more for visits. For a lot of people, they can only manage the trip once or twice a year; which isn't enough to keep the sense of family alive. The Justice Mapping Center presented at an ADPSR panel in New York. They've been studying the impacts of mass incarceration on the neighborhoods where prisoners come from - because it turns out that where prisoners come from is more concentrated than where crime occurs. In the most detailed studies, as more people are incarcerated in a neighborhood, crime drops gently, up to a point. And beyond this point, crime increases dramatically. Basically, what they have seen is that once you take away enough people from a neighborhood, social cohesion collapses drastically. Because even though people commit criminal acts, they also add something to their communityÃ¢â‚¬”as a worker, a parent, a neighbor, etc. The other thing they demonstrated was that the same places where prisoners are drawn from are the places where government spends money in other programs like public assistance for children. Not surprisingly, when you take away the parents in a poor neighborhood, the children end up in foster careÃ¢â‚¬”so using prisons to respond to lots of problems creates even more problems. You asked about urban planning and its responsibility, and in the maps that I saw, a lot of public housing buildings are problem hot-spots. But is that because of the design or because of bad management and funding rules that virtually incentivize decrepitude? I think the biggest problem is not poor design or lack of design in our poor neighborhoods, but lack of empowerment. I think we've figured out since maybe the 1970's that architects and planners need to work as community partners, rather than isolated “experts,” in order to provide appropriate support and assistance. There's nothing wrong with this approach, except that since the 1970's social priorities and spending have moved away from inner cities and poor neighborhoods and towards reinforcing mortgage payments for the middle class and tax breaks for the wealthy. As Tony Schuman says (the dean at NJIT School of Architecture, and a founder of ADPSR/NY ) the only public housing program that has grown for poor people recently has been prisons. If architecture is inherently political, how has the politicality shifted today in our practice? Where is the discourse of political architecture really being explored, or has the practice of architecture in the U.S. become essentially de-politicized? Of course architecture is political, in at least two important ways. For one, the control of space determines some very basic aspects of who gets to do what, which is what politics and power is about. Property ownership, land value, public and private circulationÃ¢â‚¬”these are all things that architecture is intimately shaped by and which are at the core of many political struggles. And then the symbolic value of architecture is politically very powerful. The messages that buildings send about who is in charge, who is welcome somewhere, how one should behave; these are political messages. Architecture only seems de-politicized because most practitioners choose not to look at things this way, but these effects exist whether or not they are intentionally deployed. There are a lot of reasons why it's not surprising that things are at this state of affairs; the best examination I know of it is the book “The Favored Circle: the Social Basis of Architectural Distinction .” It shows what the very real stakes are that architects, individually and as a group, have in maintaining the status quo. I don't know who is really studying these issues (“The Favored Circle” is from Australia), but I wish I did! ADPSR publishes books under the title New Village Press , and we would love to publish books on this subject. I think ADPSR may have to write its own manifesto soon to recover and reignite the political debate within architecture. If we continue to be a discipline that more and more is just about how things look, and which allows variety only as long as it is truly innocuous, we will lose our relevance completely, and will suffer a concomitant loss of status and even fees. But we can hardly accept the crude class dominance of today's politics as an ethically acceptable way to return to politics. It's either a politics that seriously pushes the status quo towards more participation, greater community empowerment, and broader equity, or it's window dressing and a further slide for the design professions into technical operations or irrelevance. At least we have a choice, and I know ADPSR will be leading the charge to reinvigorate our professions around this goal. Catch this event on 04.27 if you are in SF: Lecture: Should Architects Design Prisons?, where Raphael will head a panel to discuss the topic. Why should architects, designers, and planners refuse to work on prisons? Don't ask usÃ¢â‚¬” design a poster to explain it to design professionals yourself! This appears to be a nobel pursuit, however, If good architects are not willing to continue doing this work, then the job will go to someone who will. Perhaps this is too idealistic an approach? Why not support capital punishment as a humane alternative to incarceration? We live in a broken world. This fact holds true when considered through just about any social prism whether it be religious, spiritual, social, cultural, economic, political, etc. If architecture does not react to this fact it is only a small step away from being wiped from the face of academia and the professional community. For example, how many clients would be content with hiring a developer to erect a dumb box for them instead of an architect that would not only design them a building but also connect them with the cultural, social, and structural fabric within which they reside. I believe that, at its best, architecture can save the world. This can only happen if it finally manages to become the profession of the people, not the elite. ADPSRÃ¢â‚¬â„¢s focus isnÃ¢â‚¬â„¢t about the conditions, we can theoretically make prisons as comfortable as we want, architects can perfect the supposed humanity of prisons (a socially conscious informed desire, to be sure), but some argue that comfortable prisons only adds to recidivism (not my argument, but a case can be made). ThatÃ¢â‚¬â„¢s because our current judicial rig at large is in the business of manufacturing criminals, mass producing prisoners and warehouses for them accordingly, architects designing prisons are really only expanding the treadmill of recidivism today. 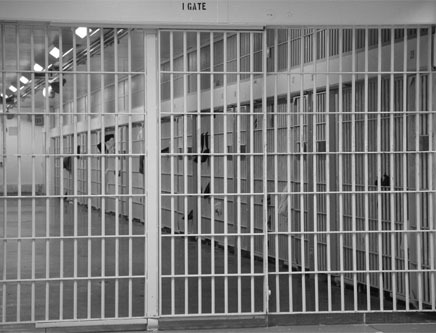 The profession needs to respond to the prison issue in a more timely manner. Whereas before, when we saw a boom in prison construction, of course architects needed to be there, but today, where we simply have TOO MANY prisons, and the prison component is merely allowing the flaws of the larger justice system off the hook and only aids special interest groups in profiting off of filling those prisons up. Architects have to reconsider their roles and alter them accordingly. It may be more wise for our profession as well as the prison issue itself to instead of focusing on the patchwork of prison design, to fold our profession into the political lobby that is trying to effect the roots of recidivism and incarceration policy. There is the analogy of designing homeless shelters (certainly I donÃ¢â‚¬â„¢t advocate boycotting designing those b/c that is a different issue) but the analogy is comparable in that if architects put their focus on designing shelters, instead of advocating for REAL HOUSING, then by perpetuating shelters we are in a way perpetuating the shelter recidivism of homelessness. That is what I believe we are doing with prisons. There would be a dark period if architects abandoned prison design, until greater legislative action was taken that helped de-populate prisons. 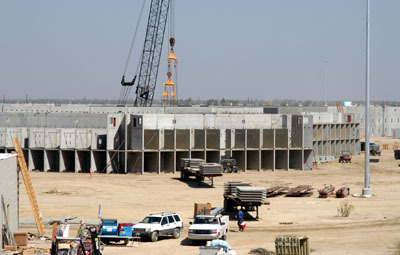 However, there are already enough architect-designed prisons in existence, that would serve a as basis for future construction, so fears of prisons turning into inhumane facilities is bogus because new construction already has decent blueprints to work with. ItÃ¢â‚¬â„¢s not like prison construction would suddenly revert back to ancient dungeon days if architects decided not to work on them any more. Architects are so hung up on the design issue, and the little importance they try to retain in participating in prison design that they miss the bigger picture, and relevance of the boycott. The political opportunity architects could jump on here, an area largely this profession has avoided, and also they could establish a new leadership on social awareness, both inside the profession as well as amongst a network outside. We have gotten to a point where we should be advocating for total policy redeisgn and that simple, NO MORE PRISONS need to be built at all. picks up on the boycott. has collected an interesting survey of Responses to the Boycott. Looks like Halliburton is going to build the new prison in Guantanamo. I'm actually curious how they will go about designing it .... the mental trauma that can be caused by a true panopticon would seem right up their alley. Here's a related news item: Will Alsop and prisoners design a jail.